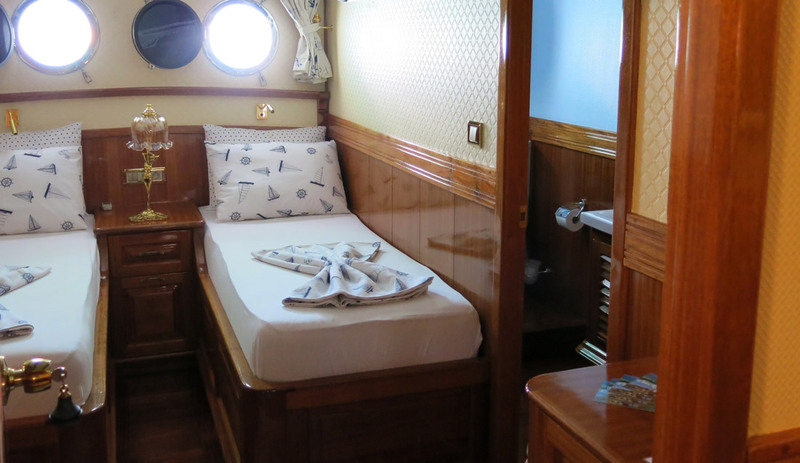 Our yacht is a new deluxe wooden 3-master (maiden voyage 2013), featuring 10 double bed cabins and 6 twin bed cabins, each with a private ensuite bathroom. This beautiful lady is build of finest teak wood, which you will also find back in her luxurious interior. She has the most stunning Yoga deck in the Mediterranean!!! 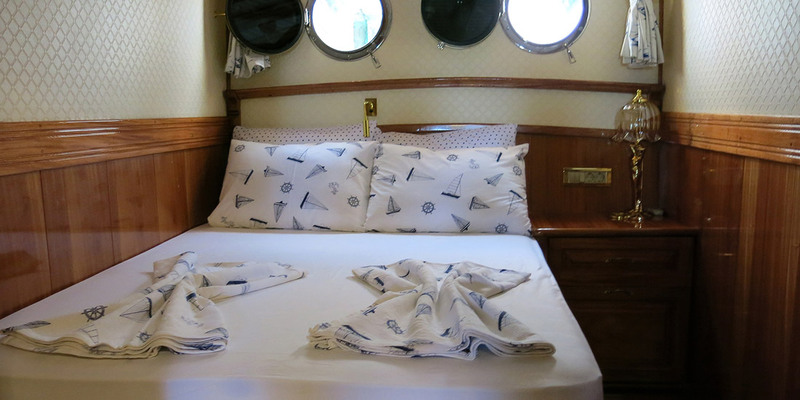 Board and indulge yourself in the ease of life on the sea.